MolluscumRx is a safe, all-natural supplement for assisting with the removal of molluscum lesions* - Free shipping! NO PRESCRIPTION NECESSARY! ORDER NOW! You don’t want to wait a weeks for your molluscum legions to respond, you want them gone - now! When you place an order for MolluscumRx before 1pm EST, we’ll ship your product the same day! 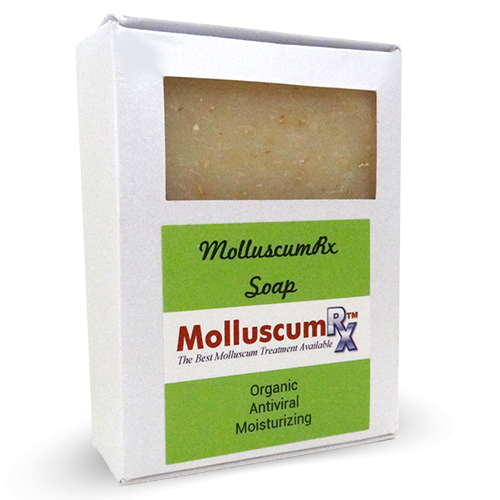 *MolluscumRx Soap is designed to enhance the treatment when using the MolluscumRx lotion. The soap by itself will not cure molluscum. 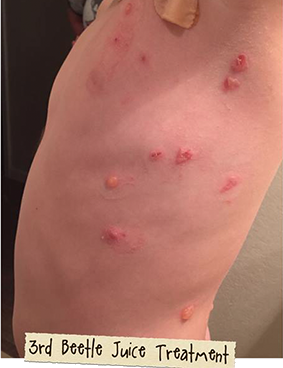 Skin-to-skin contact - Molluscum contagiosum in children can often be traced to schools, playgrounds and other areas where children are in constant contact. 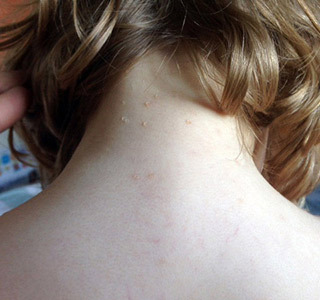 Molluscum contagiosum in adults is often a sexually transmitted disease. 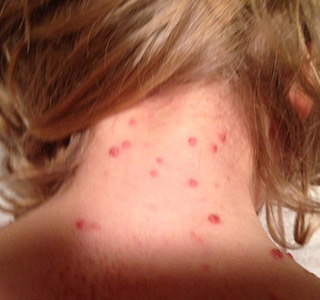 Contact with objects - Children can often contract molluscum contagiosum also through contact with objects that have been contaminated with the molluscum virus. Molluscum contagiosum symptoms are often relatively easy to identify; however, you should always consult your doctor for a formal diagnosis. You deserve a pain-free, natural treatment for molluscum contagiosum. Molluscum contagiosum lesions can often become infected, so prompt, thorough treatment is recommended. MolluscumRx provides a natural, pain-free treatment for molluscum contagiosum. Order MolluscumRx online or contact us today for more information. 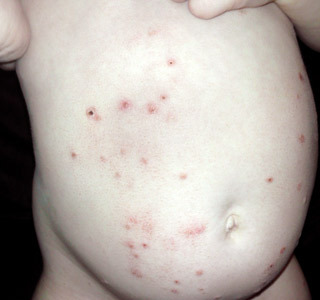 The molluscum contagiosum virus is considered a poxvirus. Poxviruses can trace their roots back several hundreds of years. 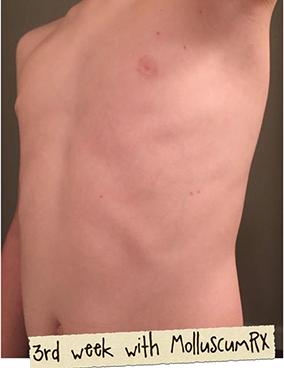 The MC virus itself is complex, which can result in lesions lasting for years on patients if left untreated. Place a small drop on the lesion, rub gently in a circular motion until whitish paste forms. Let dry for 3 minutes. *Guarantee Policy: We provide a 60-day money back guarantee for the purchase of the first bottle of MolluscumRx. If for any reason you are not satisfied with MolluscumRx, just send back the bottle and you will be issued a refund. This refund does not include shipping & handling expenses. Refunds are not issued for soaps. International buyers are solely responsible to know and abide by the customs laws, taxes and regulations in their own country as concerning shipping delays, holds, customs fees or rejections. If you have any questions, please feel free to call or email us at any time.